The children who were held hostage in a Beslan school nine years ago are already graduating from high school. Many are leaving to study in Moscow or St. Petersburg. All of them remember that September, but not everyone likes to talk about it. Hostages were taken at School No. 1 in Beslan, North Ossetia, on the morning of Sept. 1, 2004, during a ceremony held to inaugurate the new academic year. For two and a half days, the terrorists held more than 1,100 people—including children, their parents and school staff—in a building filled with explosives. On the third day, there were explosions in the school, and a fire started that caused the building to partially collapse. After the first explosions, the hostages began to run out of the school and security forces stormed the building. During the chaotic shootout that ensued, in which civilians also participated with their own weapons, 27 terrorists were killed. The only terrorist caught alive was sentenced to life in prison. Fariza's parents urged her to study in Moscow, but, six months before graduation, she decided to stay in Beslan. She will attend the medical academy in Vladikavkaz. “We—our class and others—have seen a lot,” says Fariza’s classmate, Amina, smiling. “We took trips to Greece and to America! And we went to Germany and Italy. There were trips to Jordan and to England. And [Fariza] went to school in Moscow. 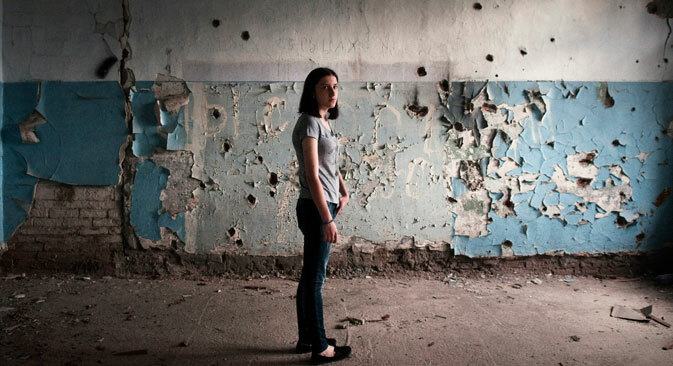 IN PICTURES: What do Beslan children dream of? Vika is leaving to study management in St. Petersburg. She believes all people are good, even those terrorists who held her prisoner. “People are born good. It's just that some people didn't experience affection in their childhoods; they end up a little tough. Some people were shouted at in their childhoods. I think people do evil either because of their feelings of inadequacy, or to show their importance in some way,” says the graduate. “As for the others... I also feel sorry for them, really. Do you know why? Because, I think it's a kind of hypnosis! They were led to believe that they should die in the name of Allah, or whatever they die for, and that they had to sacrifice people. Well, there were probably some bad people who led them... but they didn't do this in order to kill someone: They kill because they believe that, if they do this, they will be fine,” Vika says. Her classmate Ira, in fashionable yellow shorts and with beautiful, red, manicured nails, is sitting on the couch in her apartment. A few years ago, she suffered from depression and had problems eating. Then she decided that it is better and more fun to be cheerful. This is abridged version of the article first published in Russian in Russkiy Reporter magazine.